Here is the most classic performance of the song, Reggae Sunsplash 1983, when Gregory was at the height of his fame and powers. 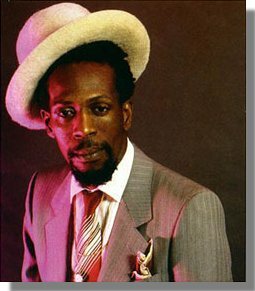 Over the course of his prolific career Gregory Isaacs released an estimated 500 albums within Jamaica, the UK and the U.S. and collaborated with reggae, dub and dancehall icons like Lee “Scratch” Perry, King Tubby, Sugar Minott, Freddie McGregor, Dennis Brown and Errol Holt. Isaacs recorded his masterpiece Night Nurse at Bob Marley’s Tuff Gong Studios in 1982, the year after Marley’s death. Beloved and memoralized by the Jamaican and global reggae community, the SPOTLIGHT pays tribute to this Reggae Legend. R.I.P. More and more each week, Jamaica becomes the film capital of the Caribbean, with a waiting list of films made by Jamaicans, in Jamaica and about Jamaica lined up for release in the next few weeks. At the same time, I keep receiving news of still more films waiting in the wings and premiering at international film festivals. Hot on the heels of last week’s successful launch of BETTER MUS’ COME is RISE UP, a feature-length documentary due to premiere in Kingston on October 27. Directed by Argentina-born Luciano Blotta and produced by Jamaicans Mark Hart and Carlo ‘Amlak’ Less, the film shines a spotlight on Jamaica’s underground music scene by focusing on 3 young artists – Kemoy Lewis, Ice Anastasia (now performing as ‘Juss Ice’) and Turbulance who, when the film was made 7 years ago, was still an ‘upcoming artist’, and who has now become a successful reggae star. The film is coming to Jamaica after reaching a worldwide audience in international film festivals, cinemas and on television, earninng several awards in the process for its creatively developed storyline, its stirring soundtrack and cinematography. RISE UP traces the lives of three young Jamaicans, struggling for their big break as recognised artistes — Turbulence, born Sheldon Campbell from Kingston’s inner city, whose career launched into orbit after RiseUp cameras stopped rolling; Clarendon-native, Kemoy Reid – a young girlwho has been blessed with awesome vocals; and Juss Ice, born Michael Lewis to uptown parents, who dubs his unique sound New Soul Reggae. RISE UP’s release in Jamaican cinemas will be followed immediately by the premiere and islandwide release of A DANCE FOR GRACE, about which I reported some weeks ago. Winner of the Reggae Film Festival 2010 Honour Award for Jamaican Feature Film, the film takes a look at Dancehall as a new dance form, rather than just a genre of ‘slack’ reggae music and, by projecting it through a heroic story with an American plot, takes Dancehall ‘to di worl’, as pleasantly as Usain Bolt’s famous Olympic victory jig. It’s a simple story about a US high school dance team trying to win a competition and raise money for a sick elder. A Jamaican substitute teacher suggests they choreograph dancehall steps and takes them to Jamaica to learn it from the authentic performers. There’s lots of dancing, especially of the local dance groups competing in the video light, plus the coreographed numbers the Americans perform back home to win the competition and prize money. 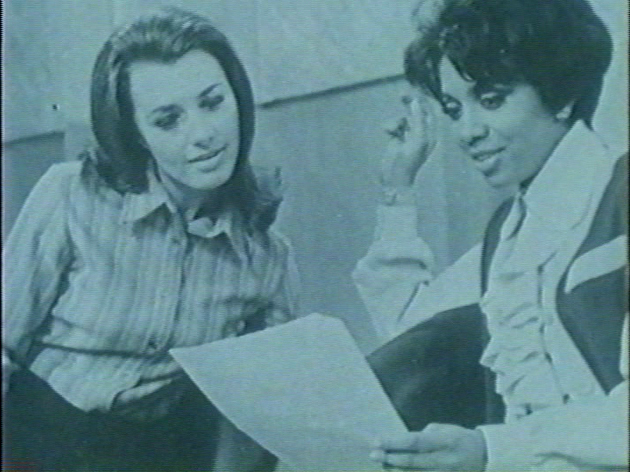 Written by Junior Powell and produced by lead actor Orville Matherson, with co-producers Kingston executive Joan Edwards and American Dale Foti under their Tower Isle Productions, A DANCE FOR GRACE is poised to be both a hit with young music fans, as well as an instant cross over to the American popular market. 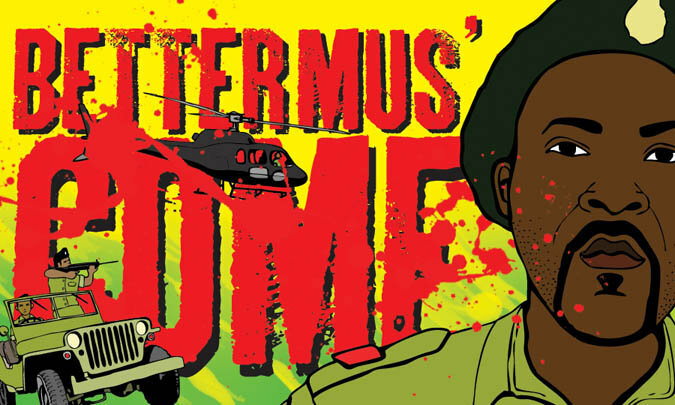 This high visibility of Jamaican films has been led by the strong showing of BETTER MUS’ COME, the film by Storm Saulter that in just one week of premiere and opening night, has become the most talked-about and praised Jamaican film since THE HARDER THEY COME. The acclaim for BETTER MUS’ COME has been universal and if they can keep a lid on the piracy that seems to have emerged in just one week of release, it is certainly heading for blockbuster status at the box office – not just in Jamaica, but the world. The film shows the great potential in Jamaican film makers, as the example of BETTER MUS’ COME will undoubtedly be emulated by the crop of young film makers sprouting all around. I can only hope that Jamaican and international investors are realizing that there is money to be made in the Jamaican film industry and getting ready to write those production sponsorships cheques for the many films-in-waiting. As if those films are not enough, we have the promise of JAMDOWN – the film that revives the early and brilliant career of The Congos, which had its European launch in London recently and was also screened at Rototom Sunsplash. However, the film I am most eager to see is the brand new documentary FIRE IN BABYLON, which had its World Premiere this week in London at the Vue Cinema, Leicester Square. It’s a film about the heyday of West Indian Cricket in the days such heroes as Viv Richards, Clive Lloyd, Michael Holding and others drove fear into the hearts of their opponents with their brilliant attacking brand of the game. As the film’s promo describes it: “The film charts the glorious supremacy of the West Indies cricket team throughout the late 70s and 80s, and describes how the bat and ball was more effective than gunfire in the battle against racial injustice and the struggle for Black rights. 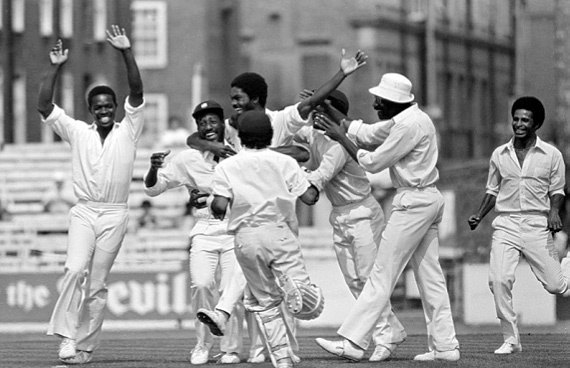 At a time of anti-apartheid struggle in South Africa, race riots in England and civil unrest in the Caribbean, the West Indian cricketers struck a wonderfully defiant blow at the forces of white prejudice world-wide. With Caribbean flair, fearless spirit and a thumping reggae beat, they hijacked the genteel game of the priveleged elite and replayed it on their own terms. By dominating at the highest level – longer than any team in the history of sport – their symbolic declaration was clear: people of colour will not be dictated to, whether on a cricket ground or in any other field of life. The film’s director is Steven Riley, whose most recent film Blue Blood (2007) dramatically portrayed the historic boxing rivalry between Oxford and Cambridge Universities. It premiered at the NY’s Tribeca Film Festival, was released in UK cinemas by Warner to widespread critical acclaim and earned Stevan a nomination for Best Film at the Evening Standard Awards as well as Best British Newcomer at the London Critic’s Circle. Producer Charles Steel is a BAFTA winning film producer and managing director of Cowboy Films, who produced feature films ‘Amy Foster’ (aka ‘Swept From the Sea’); and Kevin MacDonald’s ‘The Last King of Scotland’ about Idi Amin (2006) which won numerous awards including an Oscar for Best Actor and a BAFTA for Best British Film. … interest by an investor means that this still-in-development feature film based on the novel JOSEPH – A RASTA REGGAE FABLE’ may soon be ready to roll. 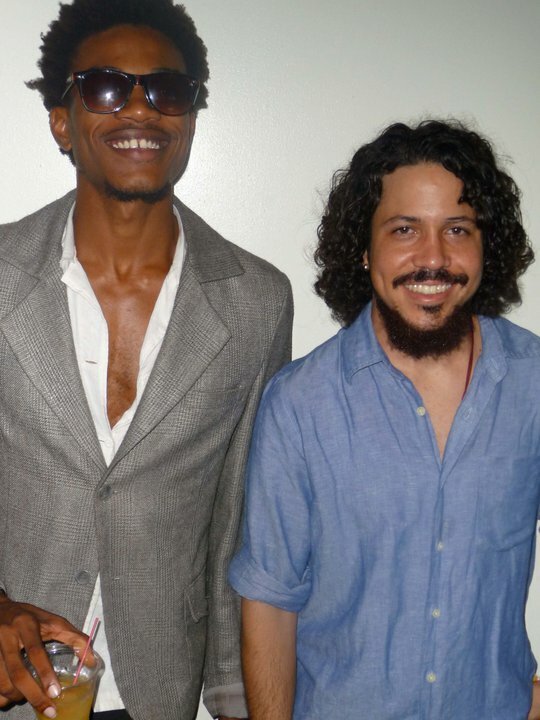 After all, Storm Saulter says it took 7 years to bring BMC to the Carib Cinema, so 2-year-old ‘JOSEPH‘ is well within the timeline for a Jamaican movie production. I’ve said it before and I will say it again: Jamaica is the film capital of the Caribbean … SOON TO BE THE WORLD!!! After weeks of intense promotion in all media, including a guerilla marketing campaign that put a staged demonstration on the streets, BETTER MUS’ COME finally opened with a premiere in Kingston last week to reviews that were full of praise for Storm Saulter and his film. Based on a notorious episode in Jamaican political history, the infamous Green Bay Massacre when the two political parties battled for power using ghetto warriors, the film heralds a new era in Jamaican film making that focuses on a new, younger generation of film makers who hold the future of the industry in their digital hands. The film has startling parallells with today’s Jamaica where the island was caught up in a similar confrontation of political violence in the effort to capture alleged drug don ‘Dudus’ and extradite him to the US. As a result, the film serves as a reminder of how Jamaica’s political landscape was created in those volatile times, with tragic results today — three decades later. Sheldon Shepherd, actor and performer in the Nomadz group, gives an impressive performance as ‘Ricky”, with another excellent young actor Everaldo Creary, and fashion model Nicole Grey receiving praise for their roles. Carl Bradshaw, without whom no Jamaican film can be made, has a cameo role, while US actor Roger Guenver Smith plays the role of the ‘Michael Manley’ politican with customary finesse. As director, writer and co-producer of the film, Storm Saulter shows his professional film making skills and determination to deliver a first class film of international standards. The 27 year old director is a graduate of the Los Angeles Film School and apprenticed to such leading film makers as Little X. He has learned his craft well and perfected it by making several impressive small films, music videos and ads. ‘Better Mus’ Come’ began as a short film that Storm showcased at a film festival he started at his family’s hotel in Negril to show the work he, his brother and a group of equally young film makers are doing. Two years later, a full length version of the film was shown, but Storm and producer Paul Bucknor (‘The Full Monty’) were not satisfied and went back to the editing room to refine the story and product. The finished film is professional and polished, with directing, photography and acting all blending into an entertaining whole. “Like many of Jamaica’s classic films, Better Mus’ Come unearths a dark tale nestled deep within the ideological borders of zinc fencing. Not to say it should be dismissed or categorised as so. Instead, the plot navigates through a complex narrative. It questions what is good, what is evil and turns those questions on their head, creating a world in which a constant state of emergency drives one’s motivations. It’s a fresh new direction for Jamaican film which, despite the success of 40-year-old “The Harder They Come”, usually relies on jobs with the occasional US feature film that shoots in Jamaican locations, to call itself a ‘film industry’. The several young film makers springing up to make movies with their digital cameras and computers, will undoubtedly be pleased with the doors that ‘Better Mus’ Come’ must surely open for them. Storm could rely on his close ties with influential friends to ensure his ability to get all he needed to make the film. Certainly the big budget that supported Saulter through 5 years of development, production and editing, as well as the advertising and promotion that have swamped the media for a month, is what has delivered the professional production of ‘Better Mus’ Come’. Undoubtedly, this is the kind of investment needed for Jamaica to produce films of this calibre that can cross the bridge from local cinemas to the Hollywood box office, and many projects are waiting in the wings. My hope is that “Better Mus’ Come’ carries with it some of the talented ‘down-town’ film makers into the ‘uptown’ circles that can support their works and give Jamaica a chance to show that ‘Better’ has indeed come – not just to this film, but to the indigenous Jamaican film industry. 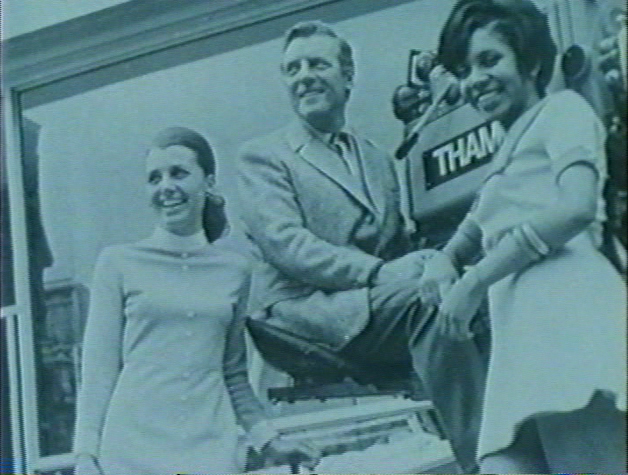 In 1968, seeking a change from my position with a London PR company as Executive for the Jamaica Tourist Board account, I applied for a job as a journalist with the new THAMES TV daily magazine programme “TODAY”. I was invited to do an audition as an on-screen presenter and within days was invited to be one of 3 daily reporter/interviewers on the show, hosted by TV personality Eamonn Andrews. It was the first time that a Black person had appeared on British TV in a news capacity, other than as entertainers, and the news made national front pages. However, racists sent daily hate messages to the station, which bowed under the pressure and after 9 months my contract was not renewed. In GROWING OUT, I write about my early years growing up in Jamaica and how from childhood Black women’s hair influences their self-esteem negatively. I carried this self-hate to a decade in England in the “Swinging Sixties”, where the racism I encountered was counterbalanced by an education in Black consciousness generated by the cultural, political and racial events of the time. GROWING OUT describes how the psychological and actual experience lead me to grow out my natural hair and emancipate my mind from colonial mental slavery. It was the decade of ‘Black Is Beautiful”, “Make Love Not War”, Angela Davis and George Jackson, The Black Panthers, The Beatles, the Rolling Stones, Jimi Hendrix, James Brown and the Supremes, the Maharishi and the hippies, whose philosophies and actions changed the thinking of that generation and ended the Vietnam War. Woven within ‘GROWING OUT’ is the sub-story of “Mr. Jones”, a narrative that illustrates the typical lives of Jamaican immigrants in the 1960s. The experience of a decade in England made me a strong advocate for Black self-awareness and I credit my years in England as a profitable experience which opened my mind to the full knowledge of my African racial history and pride in my natural self. The book is ‘livi-cated’ to Amy Jacques Garvey, widow of National Hero Marcus Garvey and publisher of his Philosophy and Opinions. 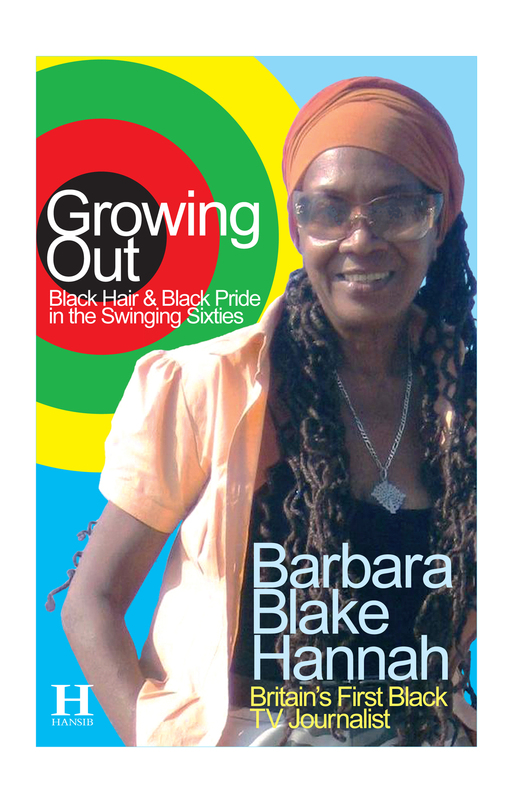 Published by Hansib Publications, UK, GROWING OUT was officially launched in Jamaica on Thursday, October 28, 2010 at the Bob Marley Museum, 56 Hope Road, Kingston, with Guest speaker Beverly Anderson Manley. The soft-cover book can also be purchased online at Amazon.com.